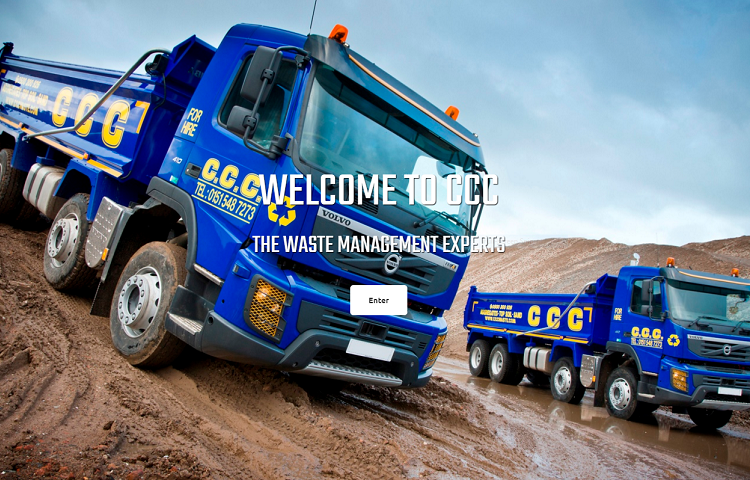 CCC are a waste management company based in the north west. 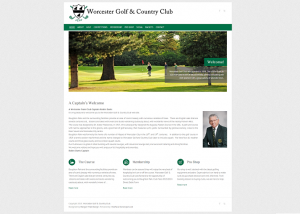 CCC required a new website to drive both their residential and commercial services. 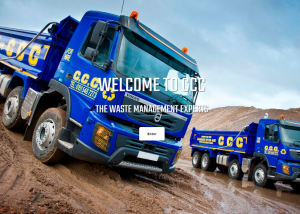 CCC's website is responsive meaning it works on both desktops and mobile devices. 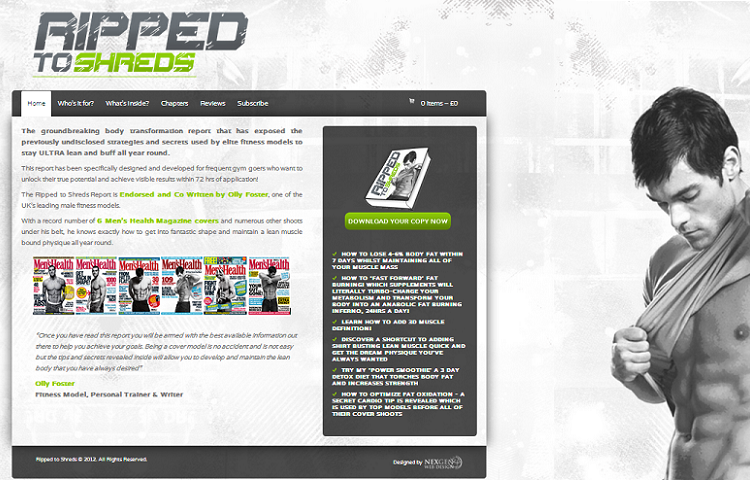 It also comes with a hoast of dynamic features including online contact forms and social media integration. 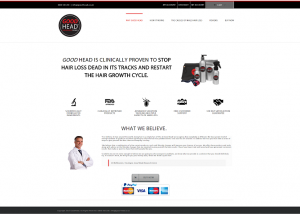 GoodHead is a specialist hair loss product available for purchase by subscription. 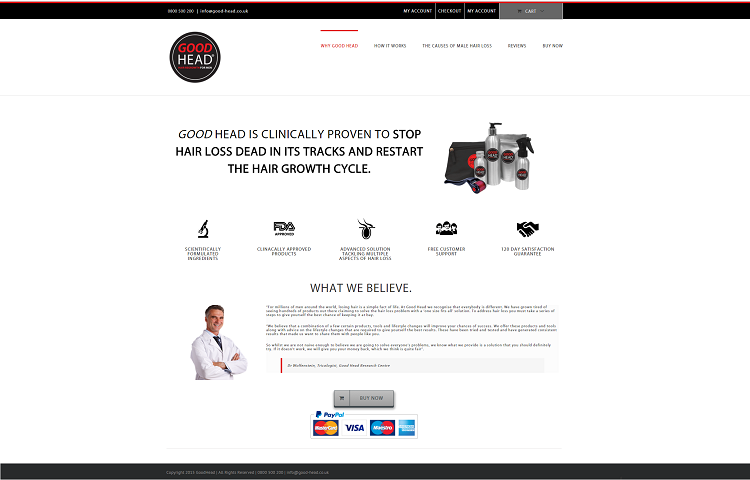 GoodHead required a website to advertise and sell online their hair loss product. 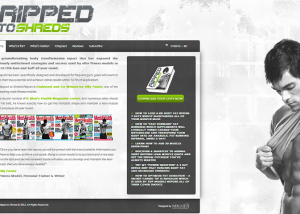 The website is built on a WordPress platform with an eCommerce back-end allowing users to register and subscribe purchase the product on a monthly basis. Formstone required a new website for their North West business. 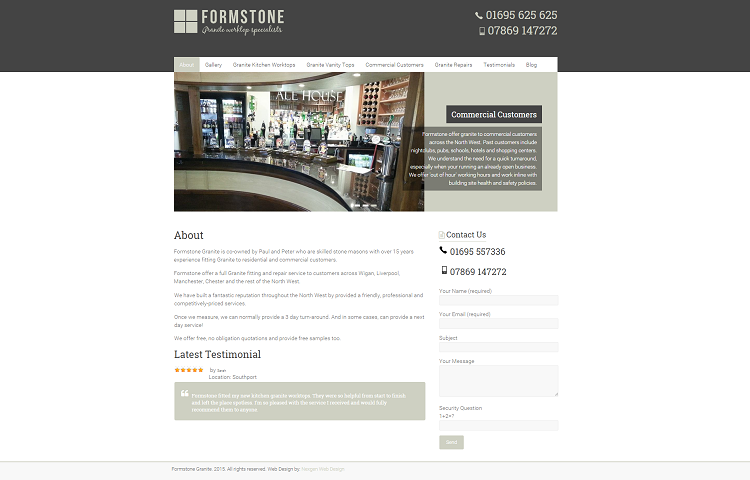 Formstone’s website is built on a wordpress content management system and allows customers to contact online and submit testimonials. 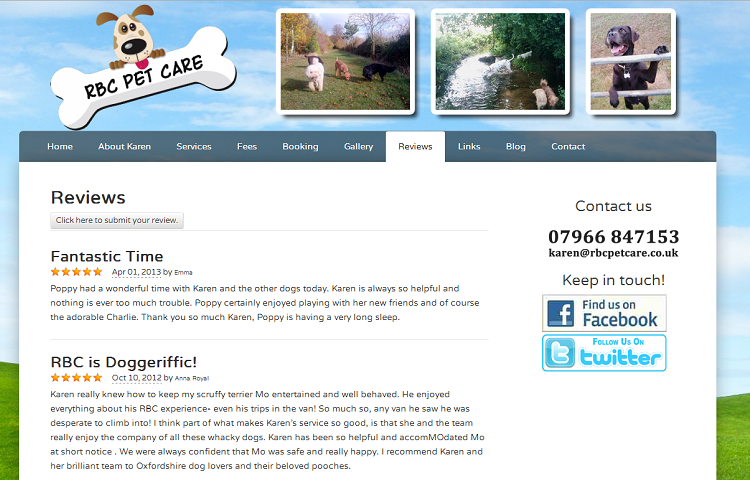 The website also has a blog and shows pictures galleries. 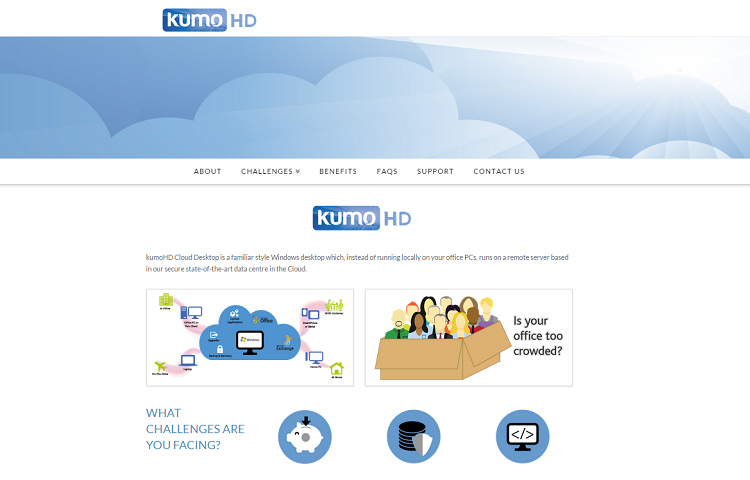 Kumoware required a website to advertise their new software product. 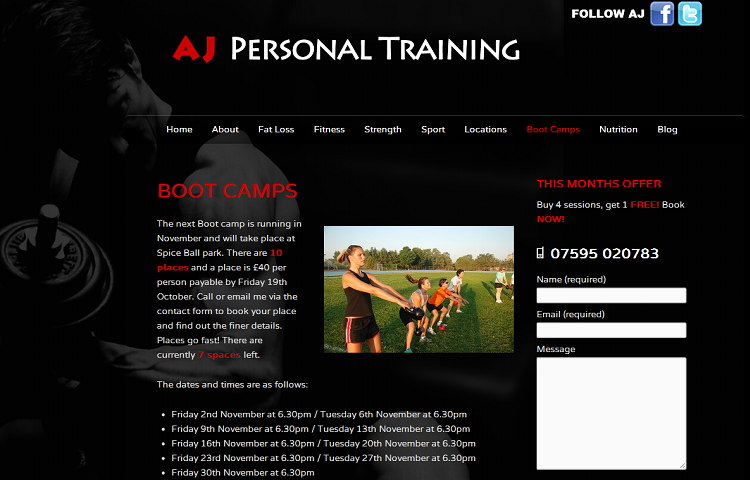 The website required a new brand design and contact forms to entice users into registering for a free trial. 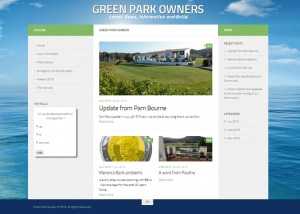 Sonparc required a new website for their Villa owners. The purpose of the website was to allow users to stay up to date on latest information, contribute to discussions and take part in polls. 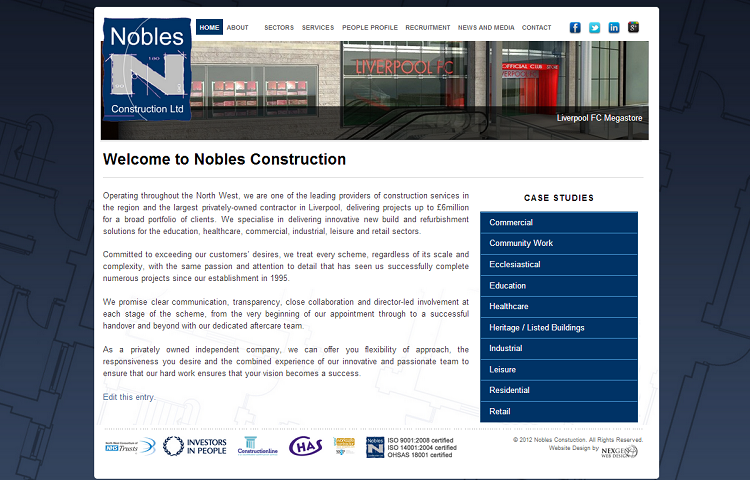 The website is set up so only Villa owners can access the website. 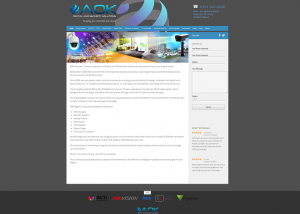 AOK required a new website for their digital security business in Liverpool. 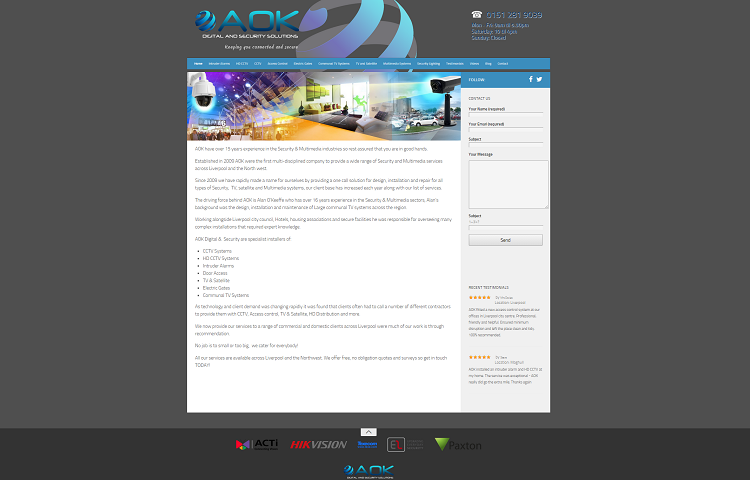 AOK’s website is built on a wordpress content management system and allows customers to contact online and submit testimonials. 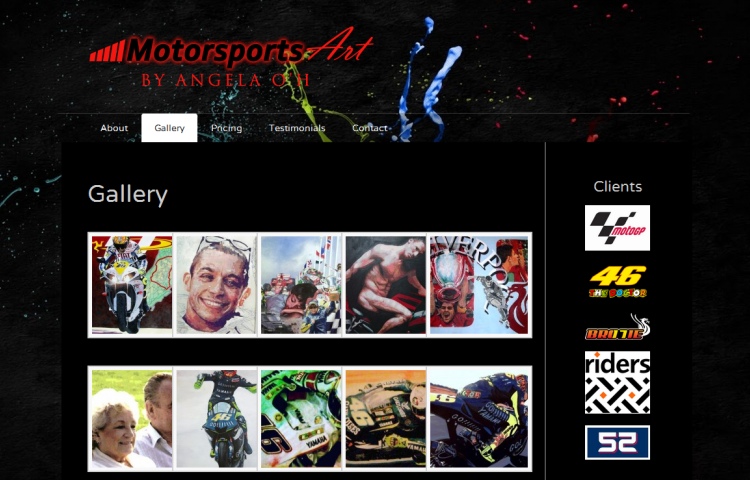 The website also has a blog and shows pictures gallerries and a video gallery. 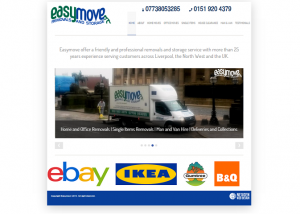 Easymove required a new website for their removals business in Liverpool. 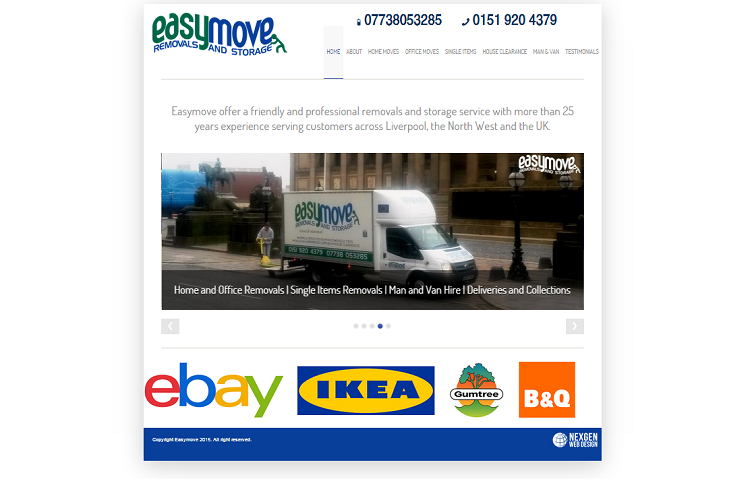 Easymove website is built on a wordpress content management system and allows customers to contact Easymove online and submit testimonials. 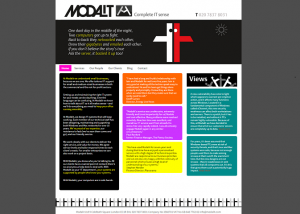 Modalit required their existing website moving to a WordPress platform. 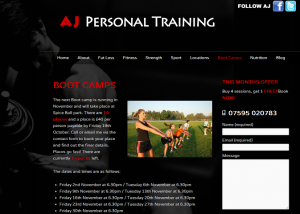 WordPress is a website content management system that allows users to easily maintain their own website. 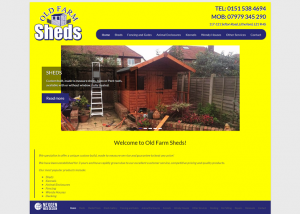 Old Farm Sheds provides sheds, fencing, wendy houses and kennels to customers across Liverpool. 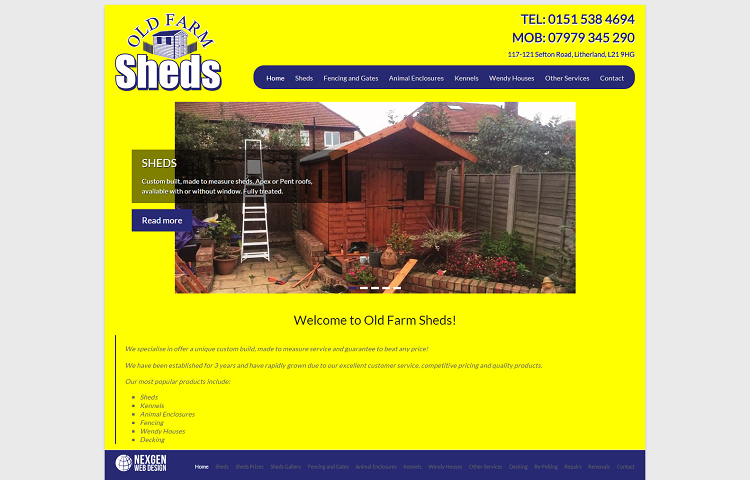 Old Farm Sheds required a website to advertise their services. 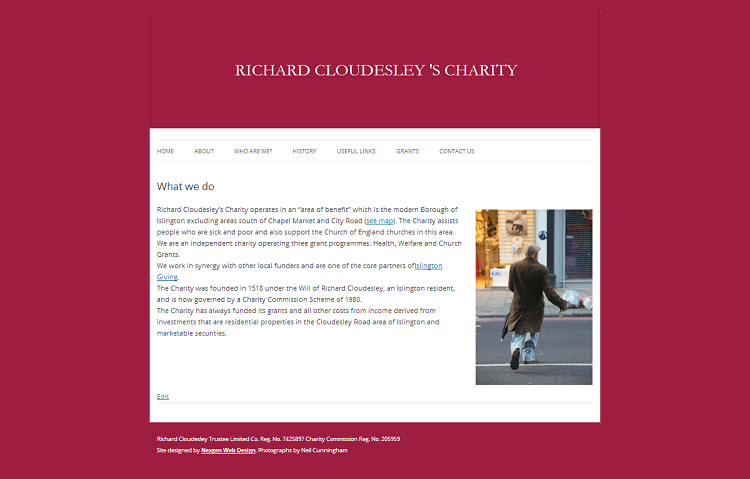 The new website has on-line contact forms, sliders, galleries and is design on a wordpress platform so it’s easy to update. 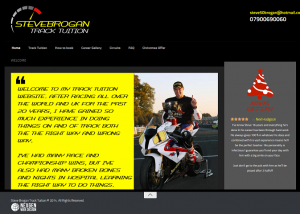 Steve Brogan required a website for his new motorbike tuition business. 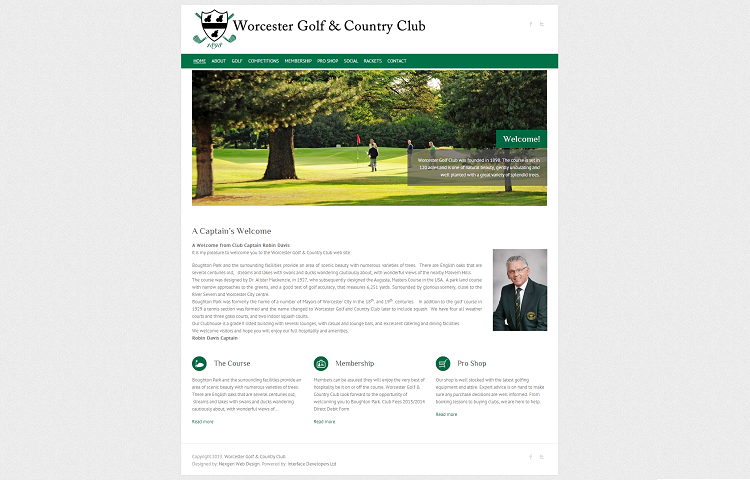 Steve required a website that was easy to update, had online contact forms and social media integration. 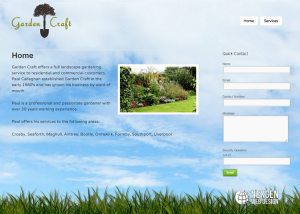 Garden Craft offers a full landscape gardening service to residential and commercial customers. 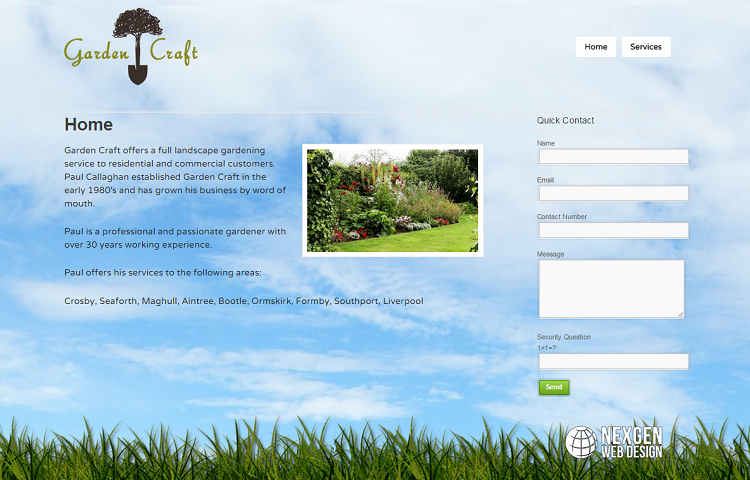 Paul Callaghan established Garden Craft in the early 1980′s and has grown his business by word of mouth. 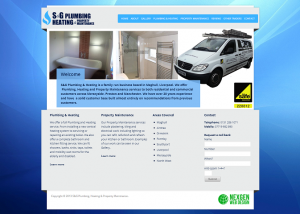 Paul required a website that showcased his work and allowed customers to request quotes and make contact online. 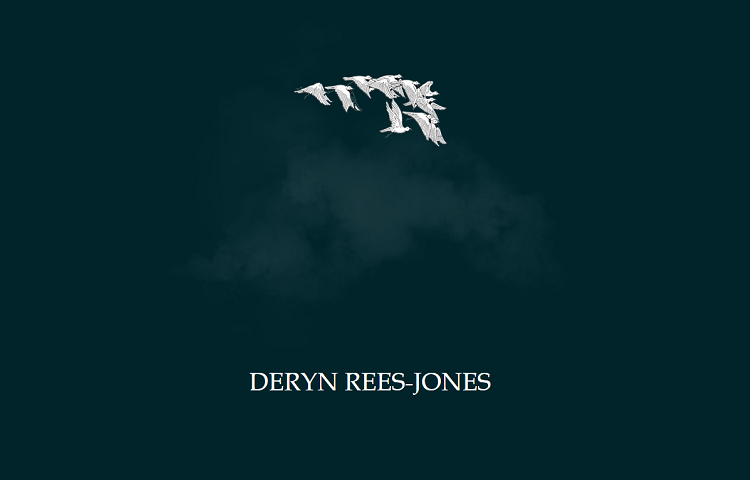 Deryn Rees-Jones is a poet who lives and works in Liverpool. 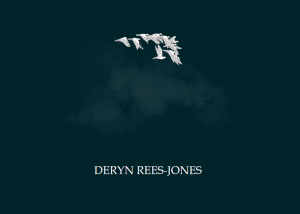 Deryn required a website to showcase her books and provide details of her events and readings. 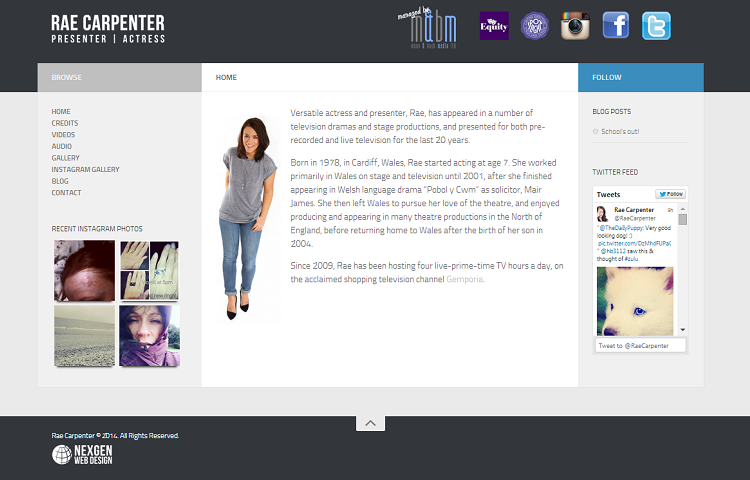 Versatile actress and presenter, Rae, has appeared in a number of television dramas and stage productions, and presented for both pre-recorded and live television for the last 20 years. 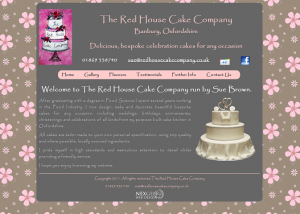 Rae required a website that showcase her work and allow her to write blog posts that integrate automatically with Twitter. 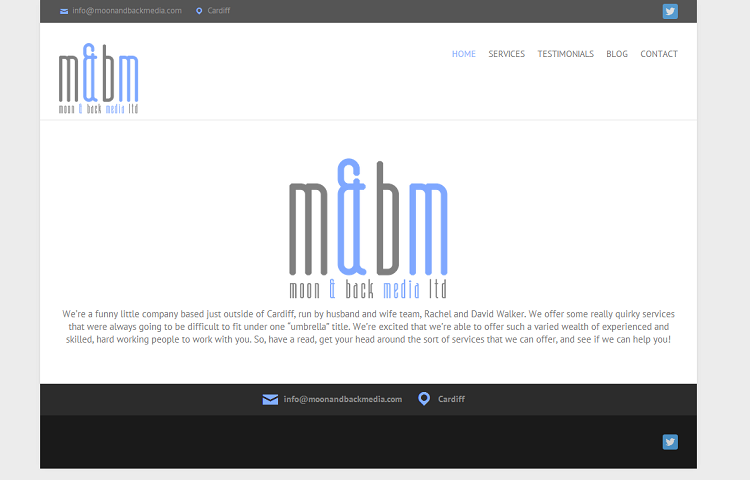 Husband and wife team required a website to advertise their unique Media Consultancy business; Moon and Back Media. 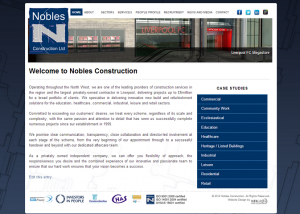 They required a professional looking website that allowed users to contact them online and customers to leave reviews. 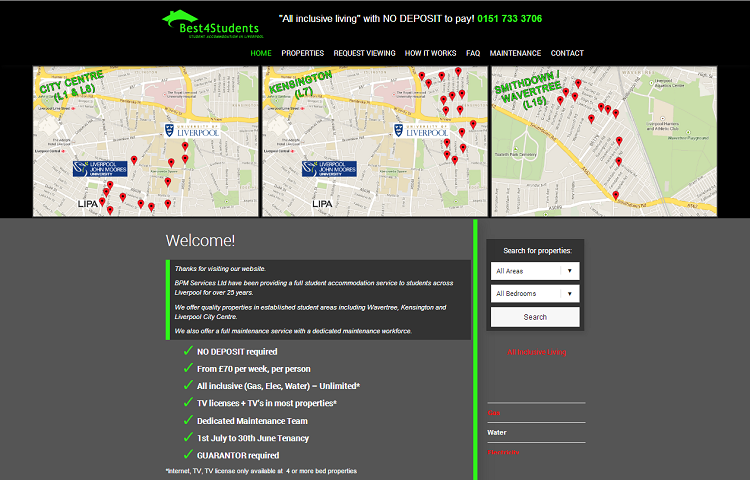 Best4Students have been providing a full student accommodation service to students across Liverpool for over 25 years. 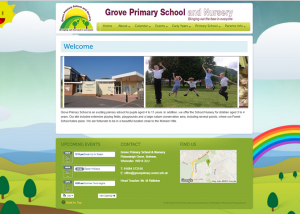 Best4Students required a website that would allow students to search for available properties and make inquiries. 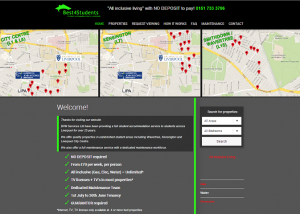 Best4students website includes a content management system to add / edit and share properties. 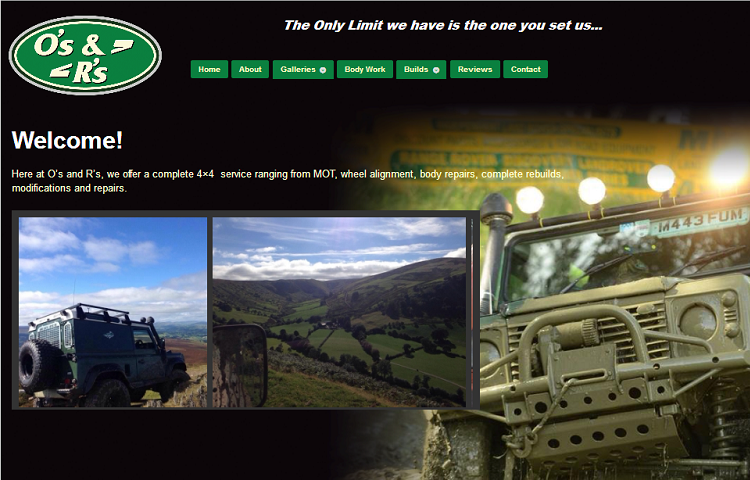 O’s and R’s offer a complete 4×4 service ranging from MOT, wheel alignment, body repairs, complete rebuilds, modifications and repairs. 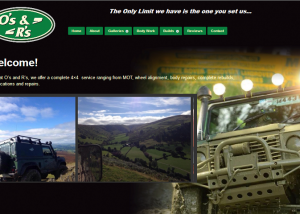 O's and R's required a website to advertise their 4x4 services. 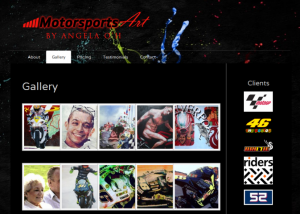 The website has online contact forms, galleries and is easily maintained via WordPress. 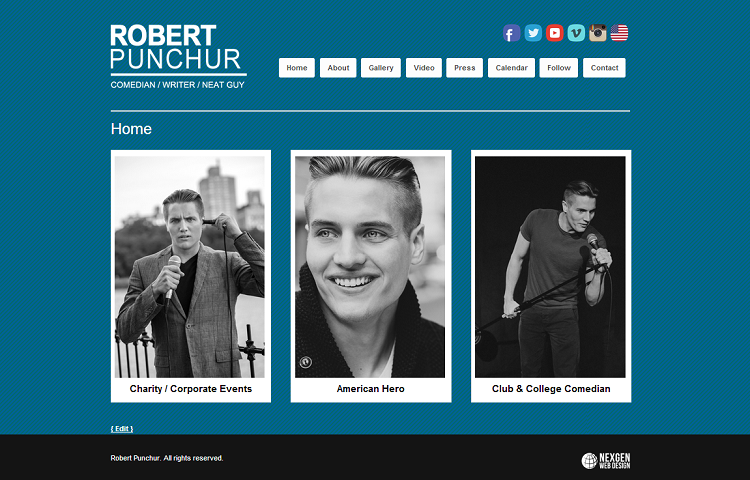 Robert Punchur is a comedian based in New York. 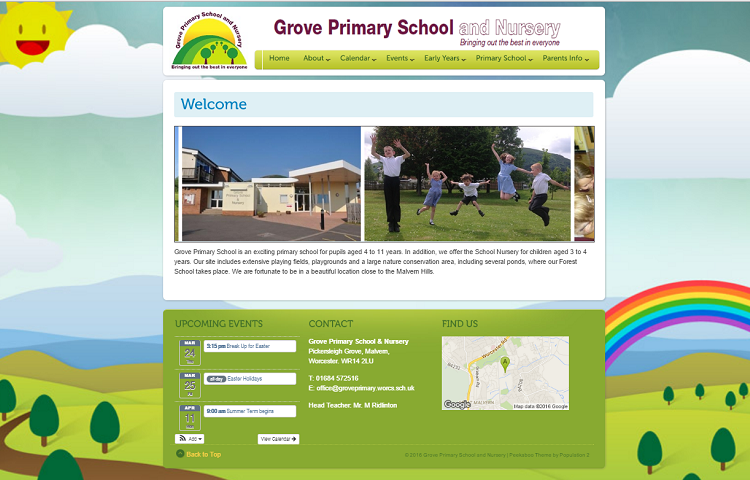 Robert required a website with strong branding that was easy to use and allowed users to see upcoming evens on a calendar. 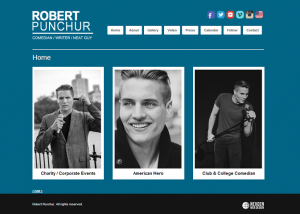 Robert’s website also has embedded videos of his acts, images and a blog with links to social media. 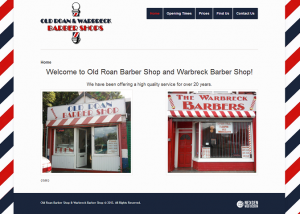 Old Roan & Warbreck Barber Shops have been offering a high quality service for over 20 years. 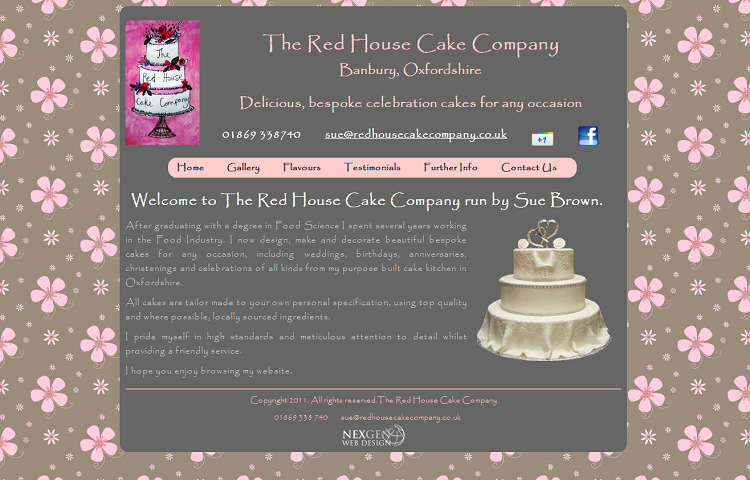 They required a website to display the latest opening times and prices, and interactive maps for new customers. 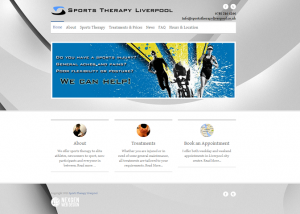 Phil is a fully trained Sports Therapist based in Liverpool offering services to elite athletes, newcomers to sport, non-participants and everyone in between! 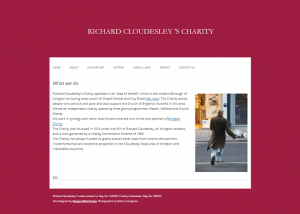 Phil required a website to advertise his services. 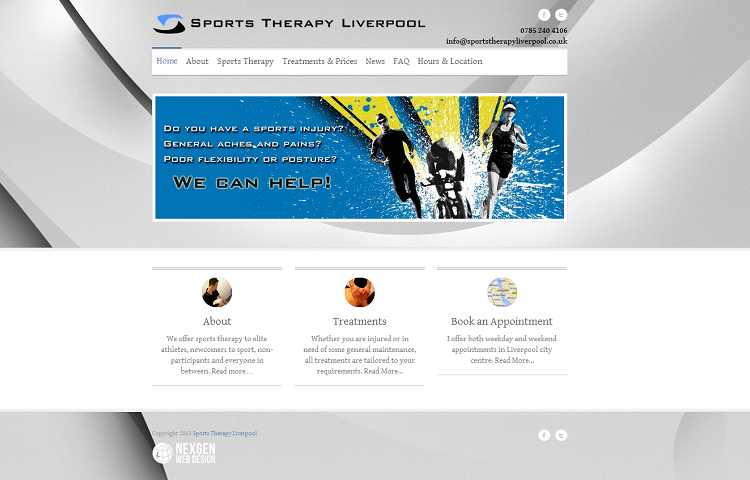 Phil's website is #1 on Google for "Liverpool Physio" and other related search terms. 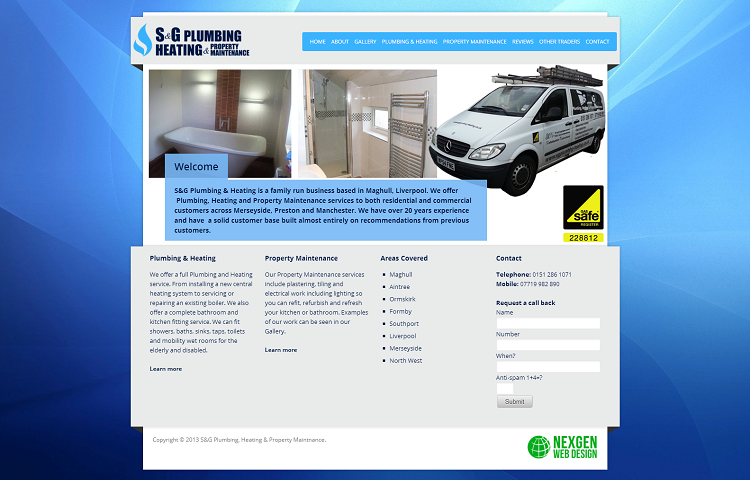 S&G Plumbing & Heating is a family run business based in Maghull, Liverpool offering plumbing and heating services to residential and commercial customers across the North West. 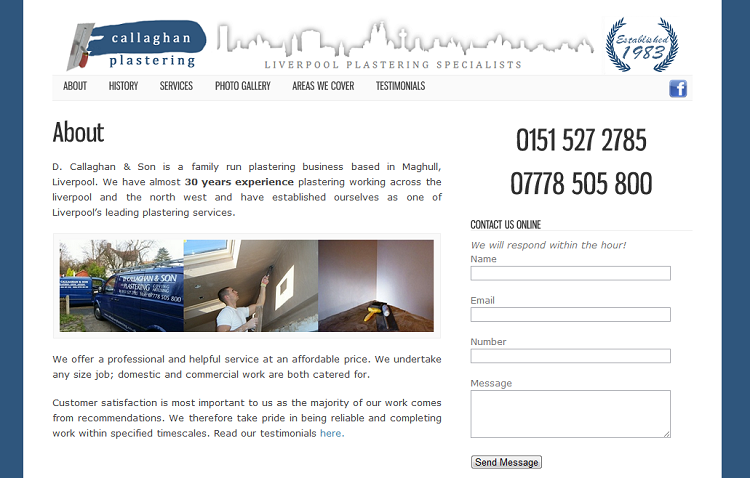 S&G required a website that would target new customers in the Liverpool area. 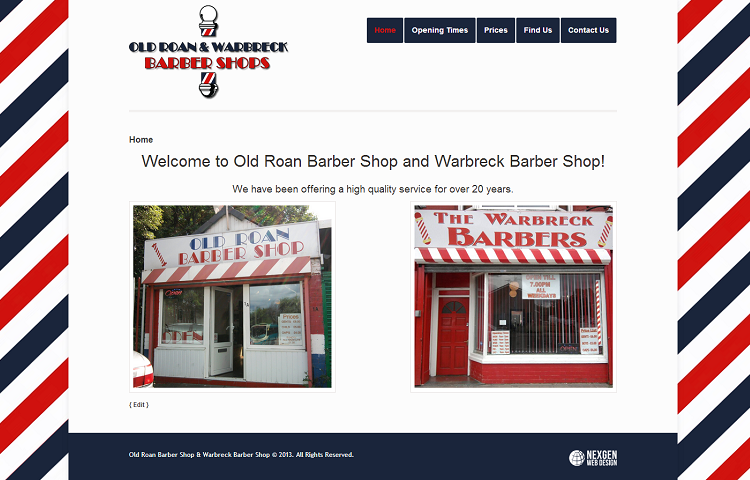 Their new website showcases their work, allows customer reviews and provides a callback feature. 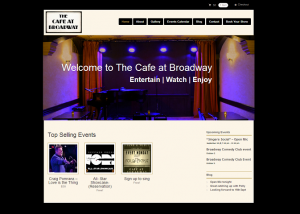 The Cafe at Broadway is a unique facility in New York’s Broadway district offering artists and enthusiasts an opportunity to perform, relax and dine in a welcoming atmosphere. 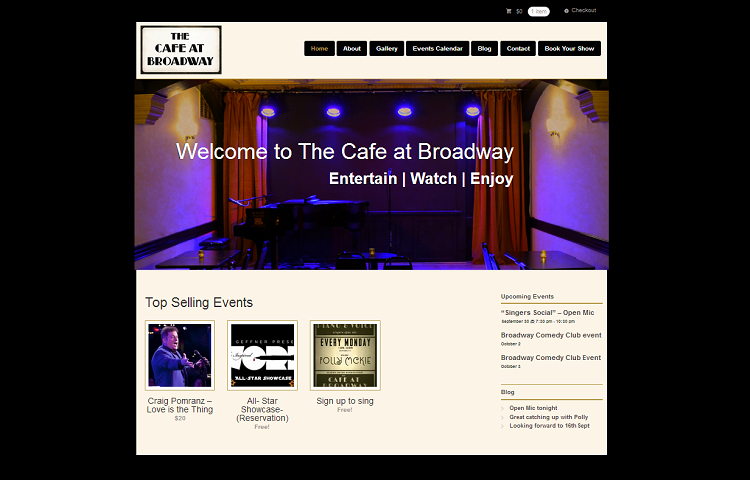 The Cafe at Broadway required a website that would enable them to manage events, sell tickets online and promote their business. 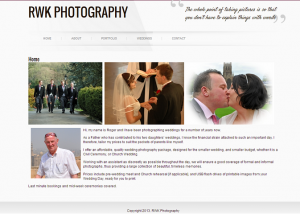 RWK Photography offer an affordable, quality wedding photography package, designed for the smaller wedding, and smaller budget, whether it is a Civil Ceremony, or Church Wedding. 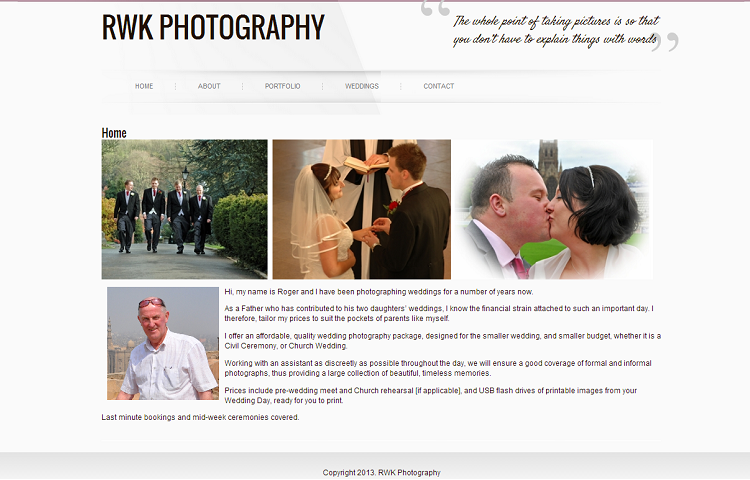 RWK required Website with an online portfolio that they could maintain and use to advertise their services. 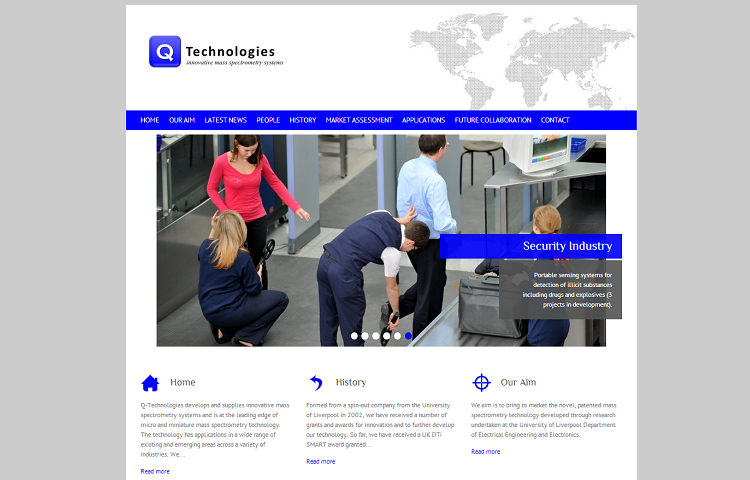 Q-Technologies develops and supplies innovative mass spectrometry systems and is at the leading edge of micro and miniature mass spectrometry technology. 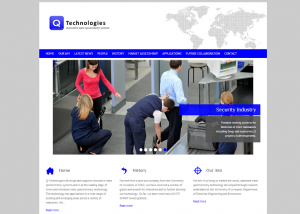 Q-Technologies required a website to promote their services and showcase their research. 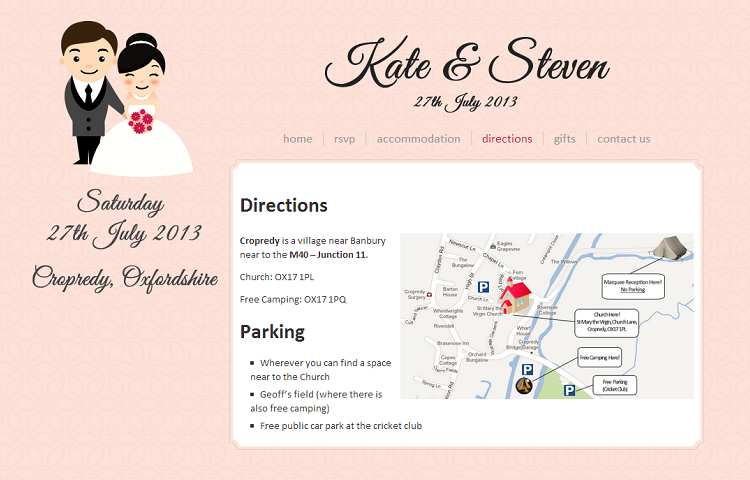 This website was designed for myself for my own Wedding! 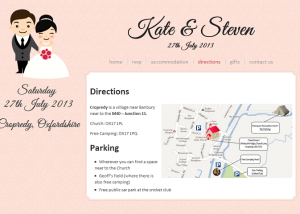 The website allowed myself and my fiance to manage RSVP’s and collate information from our guests (e.g. dietary requirements) and share directions and local recommended accommodation. 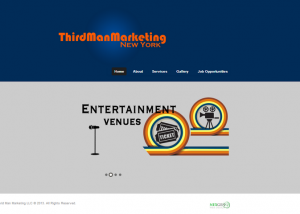 Third Man Marketing has been developed by experienced professionals who have had over 10 years experience working in Marketing and Promotions in New York City. 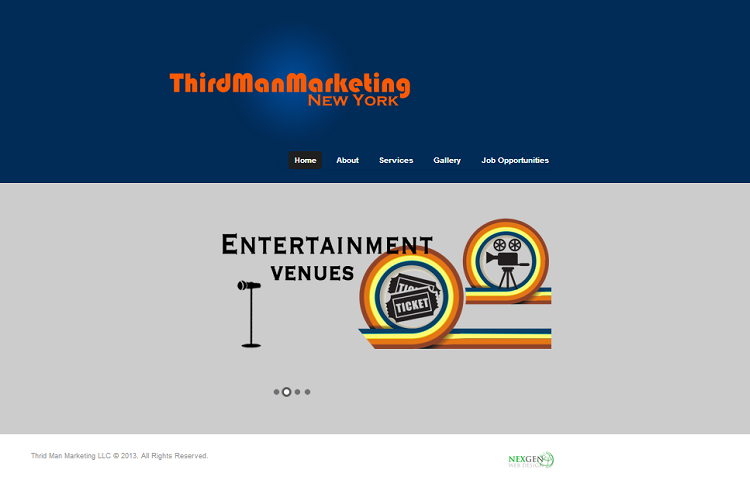 Third Man Marketing required a website to advertise their services to potential customers in New York. 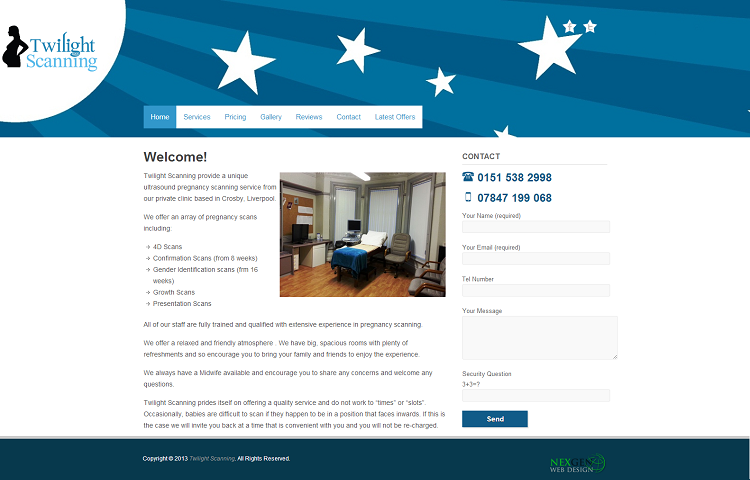 Twilight Scanning provide a unique ultrasound pregnancy scanning service from our private clinic based in Crosby, Liverpool. 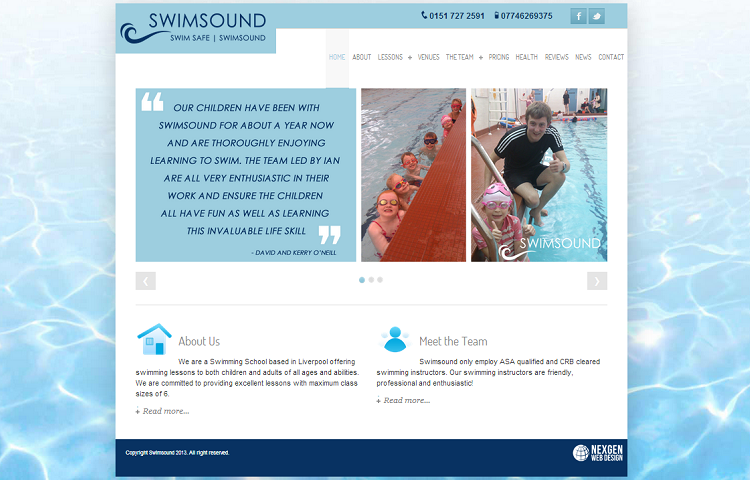 Twilight Scanning required a new website that reflected their previous branding. Twilight Scanning also required on-line contact forms, descriptive services and social media integration. 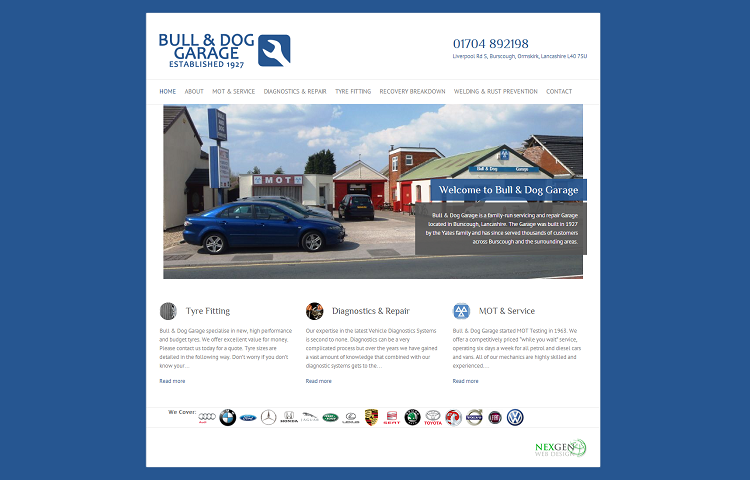 Bull & Dog Garage is a family run Garage in Burscough. 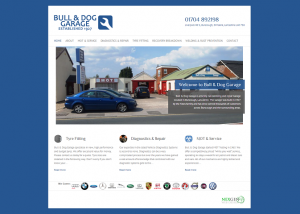 Bull & Dog Garage required a website that would bring new business to the garage. 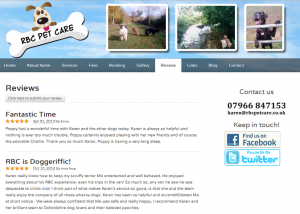 Bull & Dog’s website is optimised for ranking in search engines and allows on-line contact. 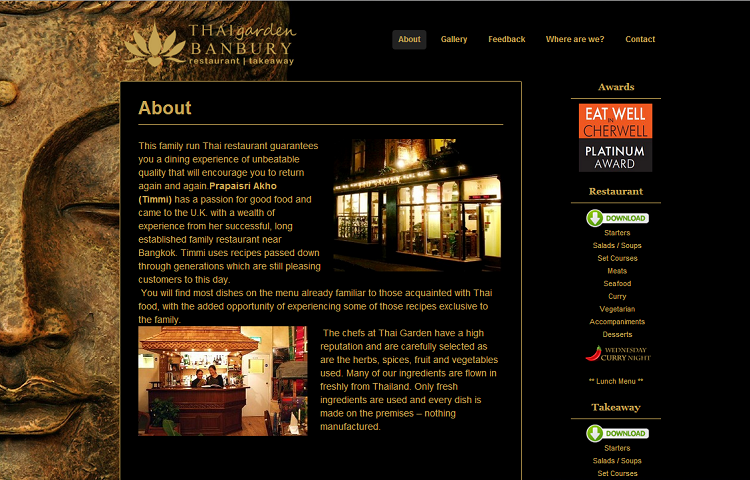 Thai Garden is a 5 star restaurant in Banbury. 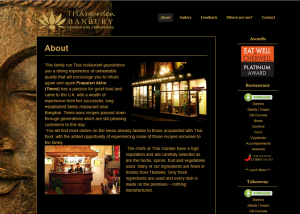 Thai Garden required a website and logo design that reflected the high quality food and service the the restaurant provides. Thai Garden’s website features a detailed menu with pricing and the ability to add special offers. 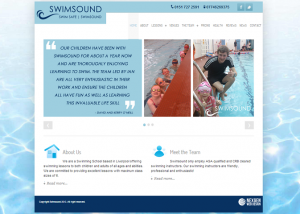 The website receives approximately 250 visits per month. 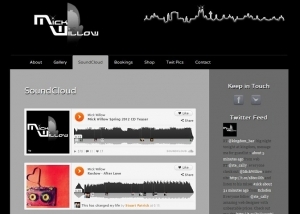 Mick Willow is an international DJ from Liverpool. 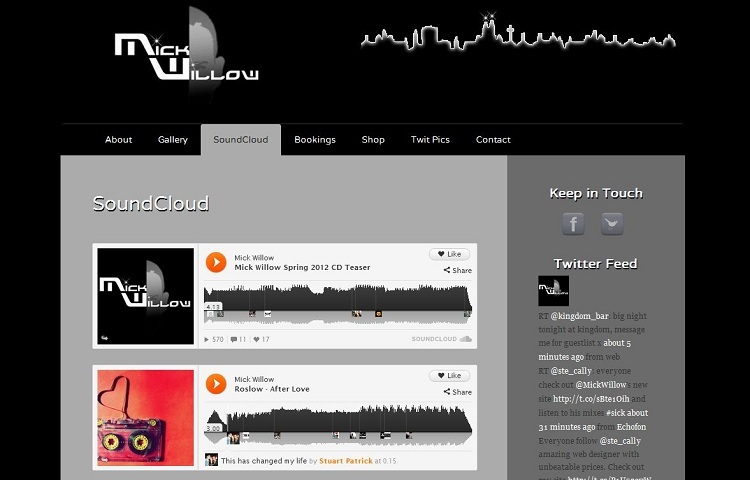 Mick required a website that would integrate with social media and soundcloud. 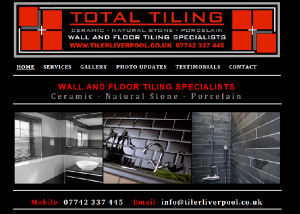 With over 15 years experience, Total Tiling offer a specialist tiling service throughout the North West and Merseyside area. 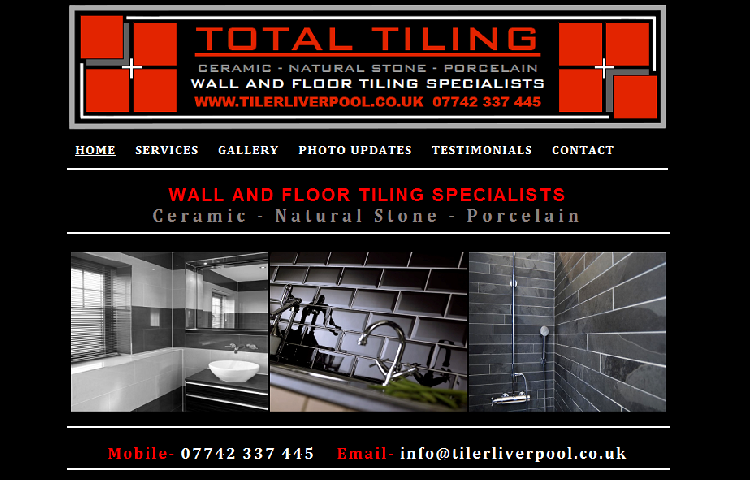 Total Tiling required a website to advertise their tiling services. 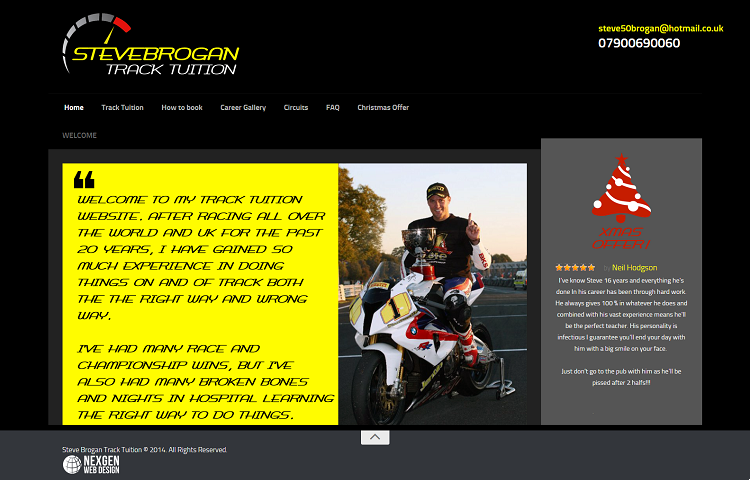 Steve Brogan required a website to promote himself as a motorbike racer. 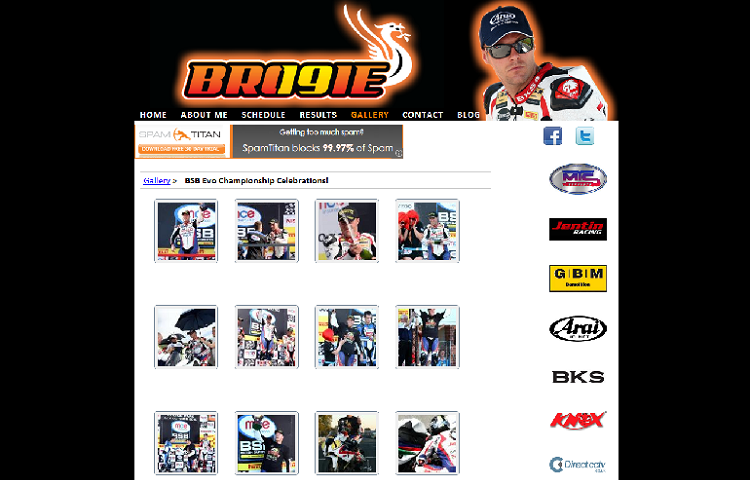 His website includes Sponsorship links, galleries, videos and social media integration. 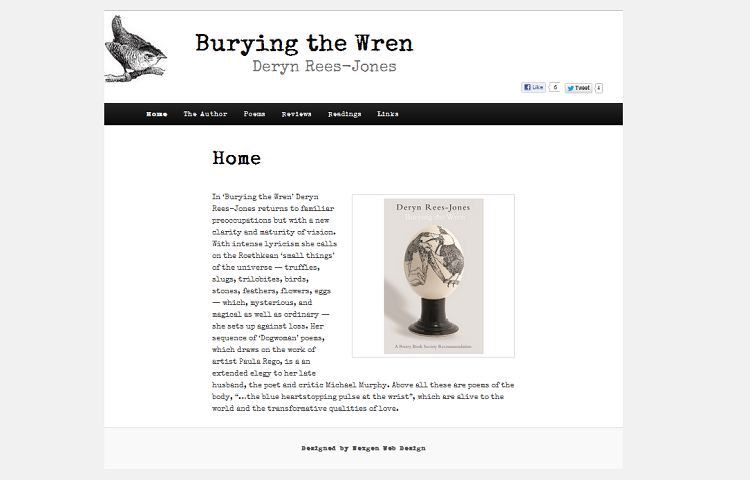 Deryn Rees-Jones is an Anglo Welsh poet and lecturer at Liverpool University. 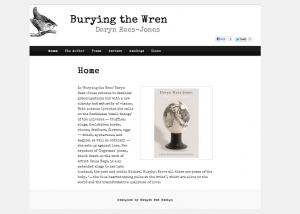 Deryn required a simple website to advertise her latest book ‘Burying The Wren’. 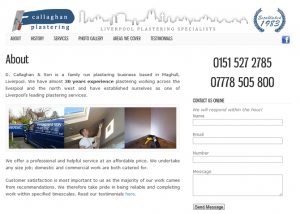 Deryn's website is built on the easy-to-use WordPress platform. 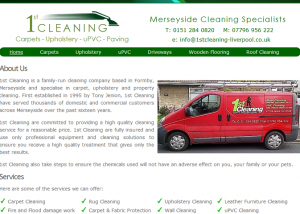 1st Cleaning is a Liverpool-based cleaning company. 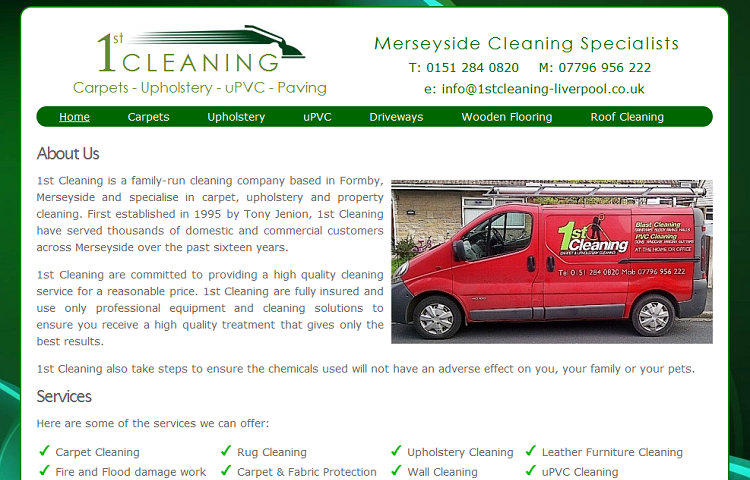 1st Cleaning required a Website to advertise their services and allow on-line contact from potential customers. 1st Cleaning was built on a WordPress platform to enable easy maintenance. Yaeger Voice is a Voice Coaching specialist based in New York. Yaeger Voice was a start-up business and required a new brand design. 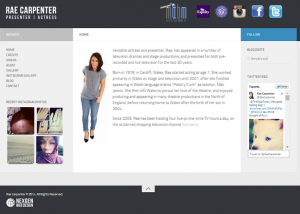 Yaeger Voice is built on a WordPress platform with sliders and online contact forms. 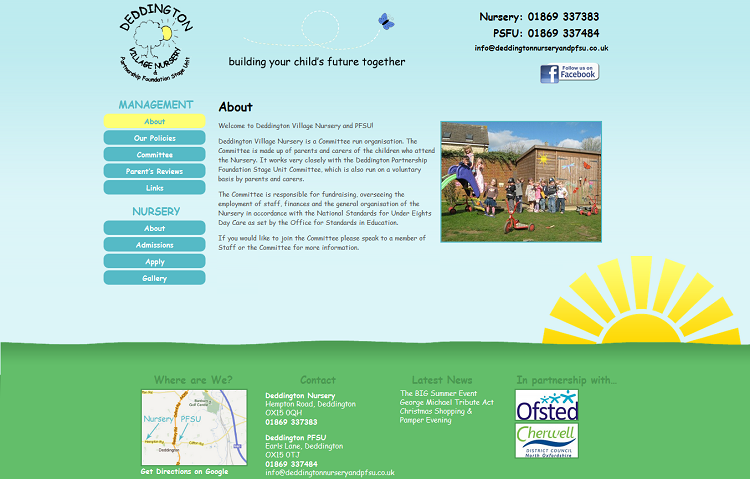 Deddington Nursery is an Oxfordshire based Nursery. 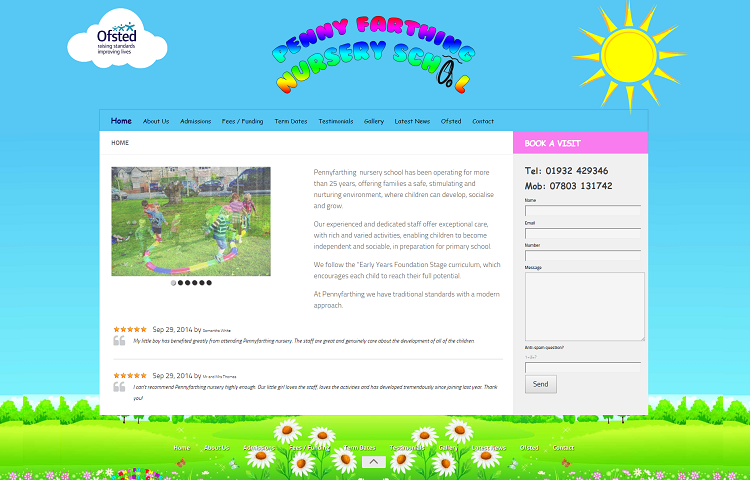 Deddington Nursery had a dated website that was difficult to maintain, difficult to navigate and didn’t rank for related keywords in search engines. 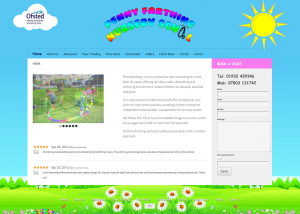 Deddington Nursery required a new website that was bright and welcoming with social media integration to share latest news and fundraising event. 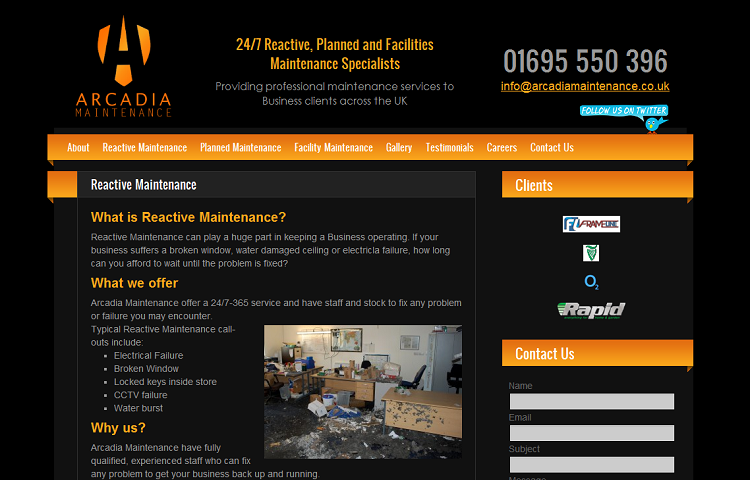 Arcadia was a start-up business which required a whole new brand design including logo and website. 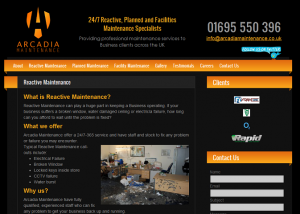 Arcadia required a website that would advertise their services and rank in search engines for related keywords. 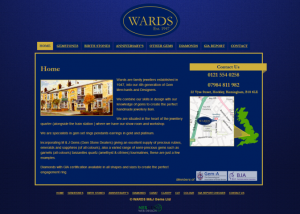 Wards Jewellers are a Gem specialist based in the heart of Birmingham’s jewelery quarter. 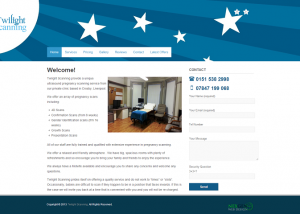 Wards already had a website but needed a new design that reflected their high quality service. 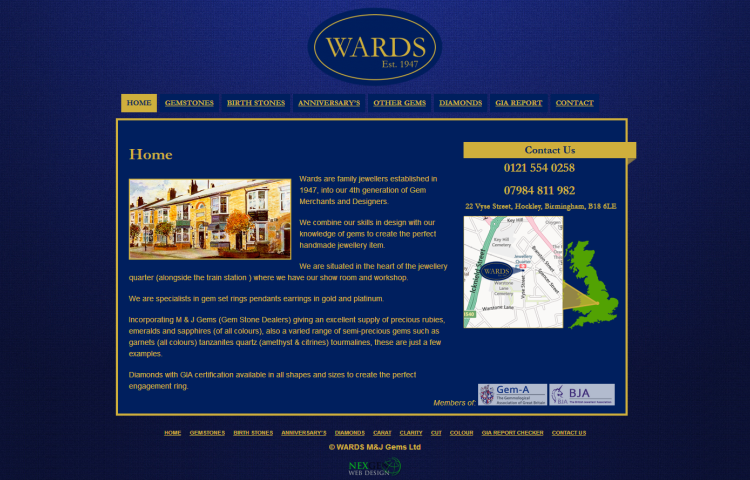 Wards new website details their services, allows on-line contact and is optimised for search engines. 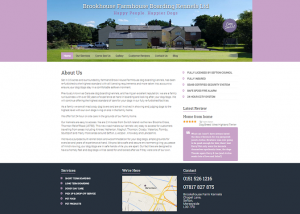 Brookhouse Kennels required a new website for their to advertise their kennels. 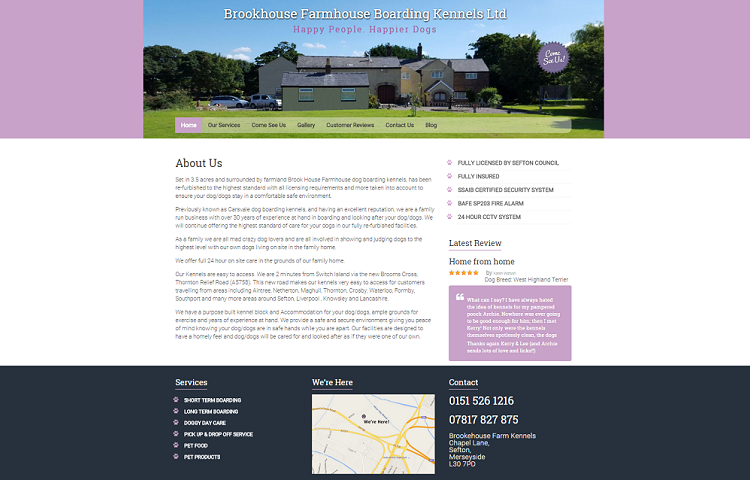 Brookhouse Kennels website works seamlessly on PC’s and mobile devices and has Facebook integration enabling news / offers to automatically display on Facebook . 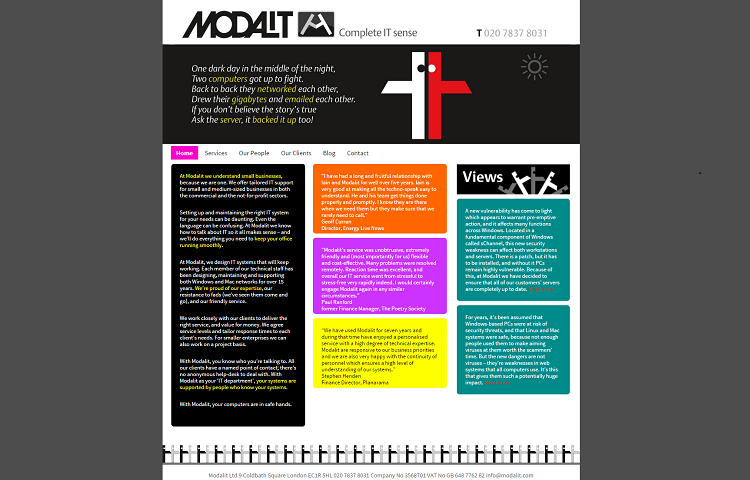 The website also has contact forms, a customer reviews facility and galleries. Bennett is a professional singer based in England. 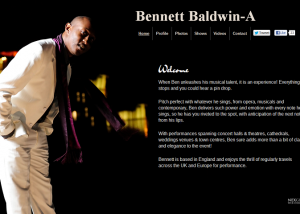 Bennett required a website to advertise his singing services. 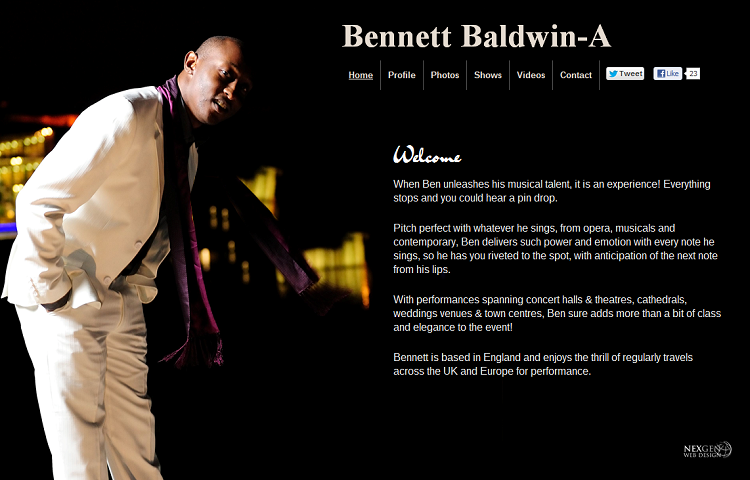 Bennett’s website included online contact forms and videos that show him singing. 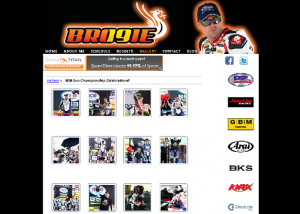 Bennett's website is build on the easy-to-use WordPress platform allowing him to maintain his website easily. 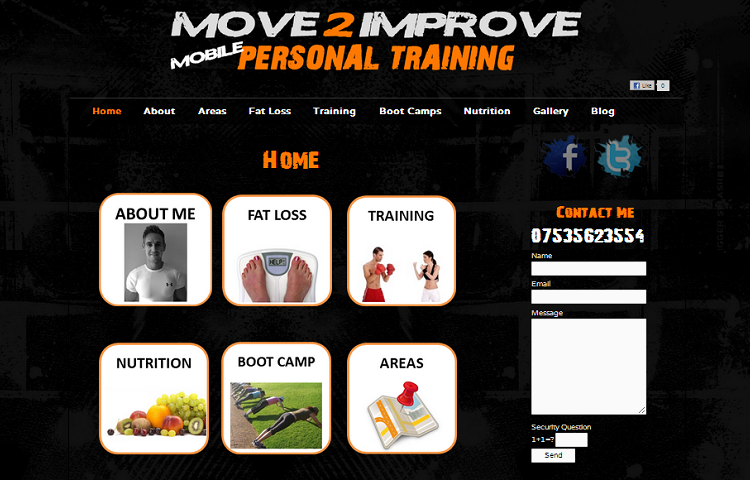 Ben Coleman is a London-based personal trainer. 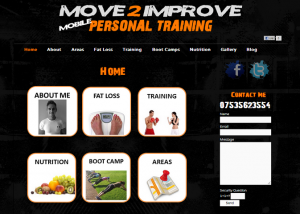 Ben required a website that would ultimately generate custom to his personal training services. 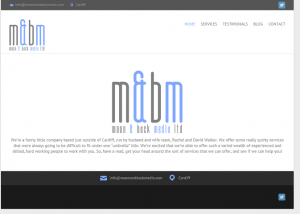 Ben’s website has been so successful in bringing in new clients that he has started advertising for an assistant to work with him.